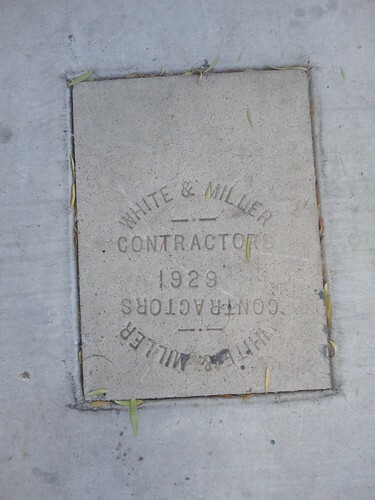 Readers of this blog should now know that I have a strange interest in Sidewalk Markers and Contractor Stamps. I first discovered the existence of these historical records about a year ago when I happened to look down and notice a Brass Sidewalk Marker placed by the St. Louis Sidewalk Company. Ever since I have been paying much closer attention to the sidewalks I walk down. Unfortunately, I have not had much luck finding more in St. Louis (despite a lot of looking) but have stumbled upon a wide variety of Sidewalk Markers and Contractor Stamps old and new this summer in Chicago, Philadelphia, Spokane, Colorado Springs, Denver, Albuquerque, and now Tucson (pretty much every city I’ve visited this summer). Over the course this process, I’ve developed a pretty decent eye for spotting these sidewalk markers and stamps but have continually found new things. This week was one of the most groundbreaking for me. I found a place where people actually seem to care about Sidewalk Contractor Stamps, and have preserved them, even when the sidewalk that contains them was in need of replacement. To me, this tiny piece of preservation is huge. An 80 year old stamp in concrete is a testament to American craftsmanship and a symbol of pride. I hope these sidewalks hold up and can be used for generations to come. Just around the corner from the White and Miller stamp is a long stretch of sidewalk built by the WPA. The fruits of the WPA are still alive and well today! I love seeing sidewalk markers old and new proclaiming the completion of a worthy project to be enjoyed by all. 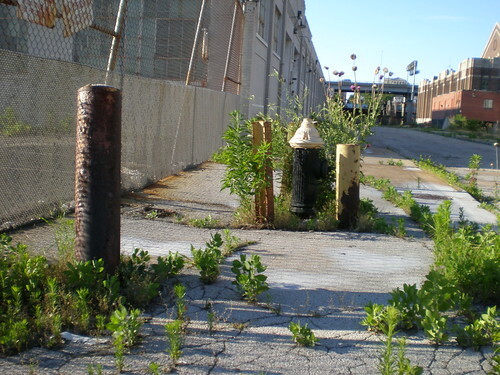 When time and progress call for the replacement of the old, preservation of the site’s history (even when the site is a sidewalk) is a worthwhile undertaking. Thanks for the link Mark! It’s really nice to see that others are interested in sidewalk markers and stamps. 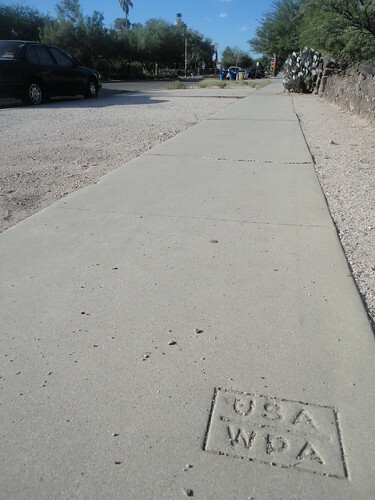 I’m not sure if this is an ordinance or what, but all the old sidewalk stamps here in Tucson are still there. As noted, even when they reconstruct the entire old sidewalk they leave the stamp. Another thing I’ve noticed is that the old sidewalks are in a lot better shape (even 80 or 90 years later) than newer sidewalks (some only 5 years old). The newer ones are all cracked and chipped and washed out. They must have really known what they were doing back then! 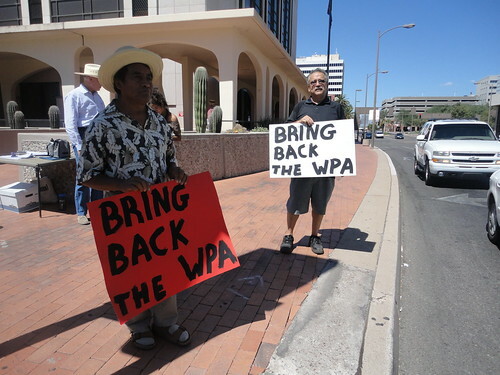 Saw the USA WPA in Tucson today….love it! !